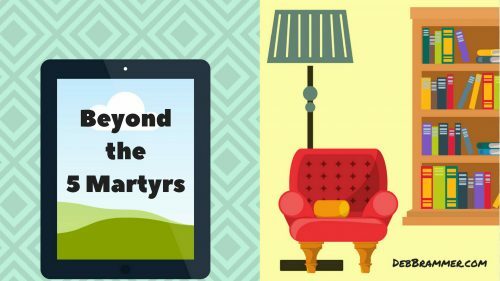 Summer Reading: What happened after the 5 Martyrs died? In 1956 five men; Jim Elliot, Nate Saint, Pete Fleming, Roger Youderian, and Ed McCulley; refused to fire shotguns as a barbaric tribe of Ecuadorian indians speared them to death. This is the best known story of martyrs in the twentieth century. This story is, in itself, an inspiring one. But if you think the story stops there, you’ve missed the most exciting part. These men did not die in vain. Read these books to see how the Gospel totally revolutionized this savage tribe.